The kitchen space has a great rustic vibe to it, but it still has a modern feel. 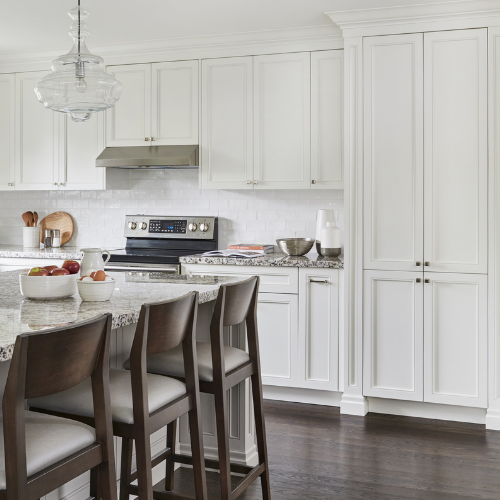 I love the cantilevered walnut counter top on the island.�� The color blends well with the rest of the house and the fact that there are no legs at the island definitely makes for a more modern touch. The texture and old-world aspect of the floor and faux reclaimed brick back-splash add a nice charm to this kitchen.